Hi, this is a task discussed on #kritasprint2016. The problem: Sometime Krita use more RAM than available (big animation, many document opened) and start to swap memory and become slow. 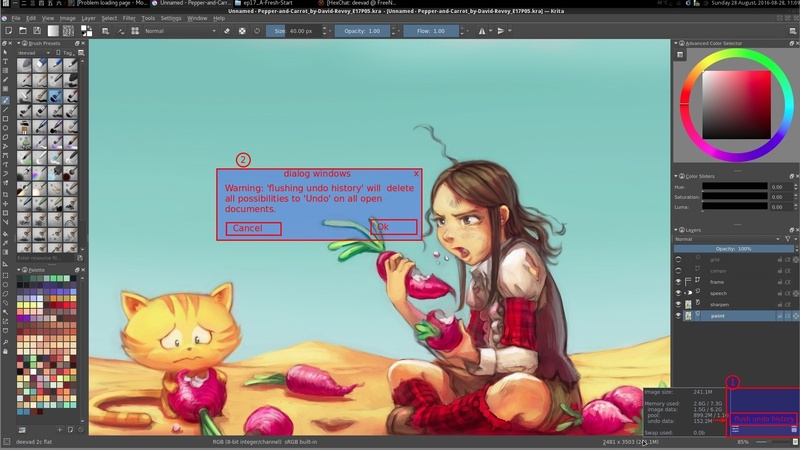 Actual solution Save all, and restart Krita. Proposal: Let the user to hit a button to 'flush the undo history' and free a bit of the RAM available. a confirmation dialog appear to warn the user.